Dice the avocados into small cubes. 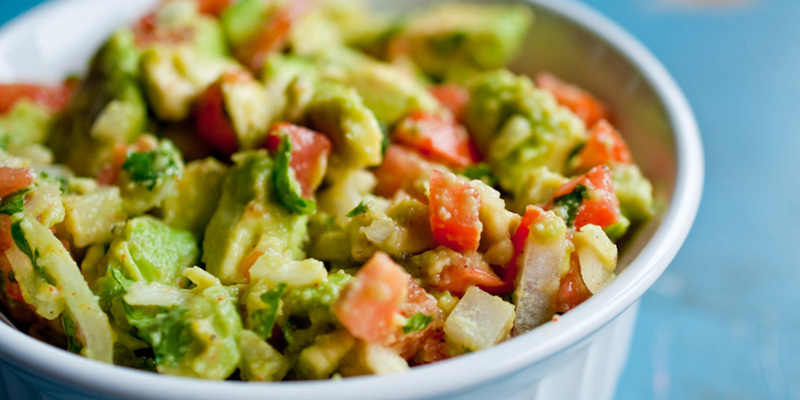 Combine the rest of the ingredients (except the lime juice) in a medium bowl. Add the avocado’s. Mix to combine. Add lime juice. Mix to combine. If you like less chunky guacamole, mash until the desired smoothness.